Lydia Bontrager's youngest sister is frighteningly ill, and as a good Amish daughter, it falls to Lydia to care for her siblings and keep the household running, in addition to working as a teacher's assistant and helping part time at her grandmother's bakery. Succumbing to stress, Lydia gives in to one wild night and returns home drunk. The secret of that mistake leaves Lydia feeling even more restless and confused, especially when Joshua, the only boy she's ever loved, becomes increasingly distant. When a non-Amish boy moves in nearby, Lydia finds someone who understands her, but the community is convinced Lydia is becoming too reckless. With the pressures at home and her sister's worsening condition, a splintering relationship with Joshua, and her own growing questions over what is right, Lydia could lose everything that she's ever held close. 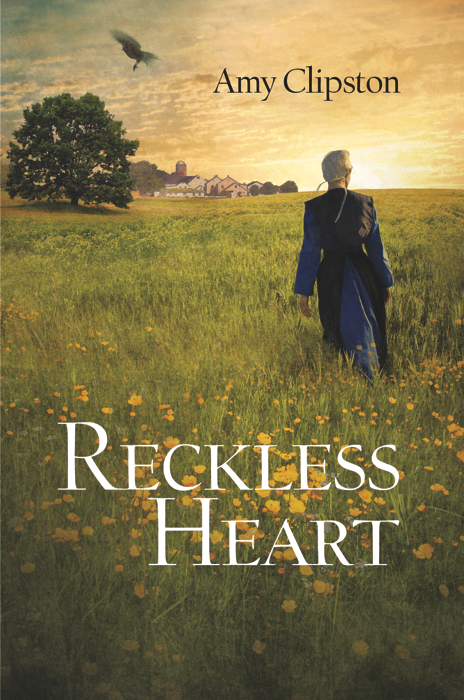 Reckless Heart gave me the opportunity to create a story about Lydia Bontrager, who is one of the granddaughters in my Kauffman Amish Bakery series. I was thrilled to have the opportunity to write a young adult book based on my Kauffman novels. This story is close to my heart because it's dedicated to Jimmy O'Brien, a dear family friend who lost his life to leukemia at the age of ten. Reckless Heart is a Christian Book Distributors Bestseller!